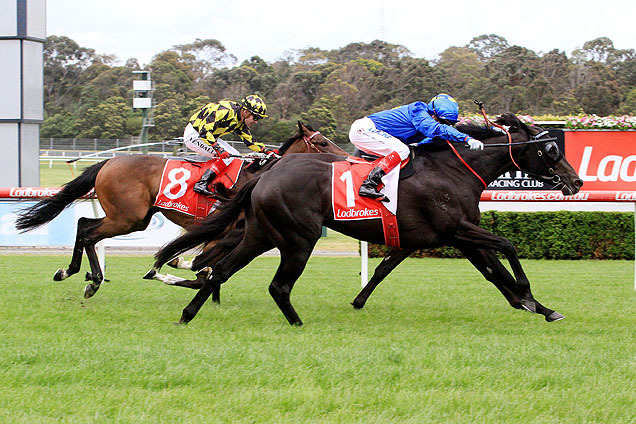 Godolphin’s fine spring carnival ended on a high at Sandown last Saturday with a treble of Group wins to extend a sequence of black type successes that began three months ago. 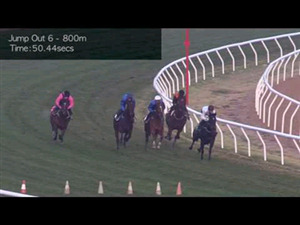 For 11 successive Saturdays going back to September 3 a Godolphin team member has won at least one black type race in either Sydney or Melbourne, a marvellous sequence that was boosted by the arrival of the northern hemisphere-trained runners prepared by Charlie Appleby and Saeed bin Suroor. Appleby’s runners, his first at the Melbourne carnival, were a revelation but only helped to complement the growing tide of success being enjoyed by John O’Shea now that he is well and truly settled as Sheikh Mohammed’s head trainer in Australia. Last Saturday at Sandown the honours were shared equally by O’Shea, Appleby and Saeed bin Suroor, a unique occurrence for Godolphin as each of the three winners were prepared by a different trainer. The Appleby-trained Qewy added the G2 Sandown Cup to his Geelong Cup victory; O’Shea’s Morton’s Fork took out the G2 Sandown Guineas; and Saeed bin Suroor completed the treble with Beautiful Romance in the G2 Zipping Classic. “These results are a perfect example of the global ambitions of His Highness Sheikh Mohammed and a tribute to the three stables who provided them,” said Godolphin’s Australian managing director Henry Plumptre. Morton’s Fork (Ad Valorem x Dilemmas by Lonhro) is an exciting talent who promises to be a future G1 winner and may eventually fly the Godolphin flag overseas as the manner of his Sandown Guineas win would already have Sheikh Mohammed’s racing advisors contemplating where and when he could fit into their northern hemisphere programs over the next 12 months. The downside for Sheikh Mohammed is that Morton’s Fork’s sire Ad Valorem, a G1-winning son of Danzig, no longer stands under the Darley banner. 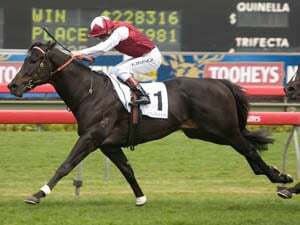 Morton’s Fork became the 13th stakes winner by Ad Valorem, who now stands at Cangon Stud at Dungog in the lower reaches of the NSW Hunter Valley where his fee is a cheap $4400. The 19th Group or Listed winner trained by John O’Shea for Godolphin this season, Morton’s Fork has won four times and placed four times from nine starts to date for total prize money earnings of $410,775. The colt is one of two named foals out of Dilemmas, a half-sister to the G2 winner Pied A Terre by Ad Valorem. His second dam Masonette (Grand Lodge) is a half-sister to the Japanese G3 winner Graceful Encounter (Dr Grace), while his third dam is the dual G2 winner Shavano Miss (Hand Crafted). 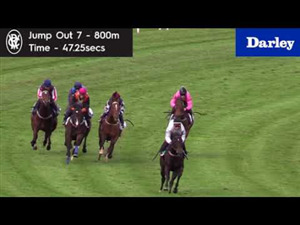 •	Godolphin’s European raider Beautiful Romance (New Approach x Mazuna by Cape Cross) had run seventh behind Almandin in the Melbourne Cup at her first start in Australia. 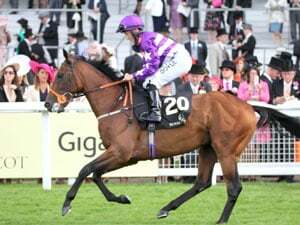 A daughter of Galileo’s classic winner New Approach, she took out the G2 Middleton Stakes at York earlier this year and has now won four of her 12 career starts for total prize money of $697,223. Beautiful Romance is one of six foals out of the G3 winner Mazuna, also the dam of the stakes placed Sepoy 2YO Executive Force. Her second dam, the stakes-placed Keswa (Kings Lake), is a half sister to the multiple stakes winner Matahif (Wassl) as well as Rafif (Riverman) the dam of dual G1 winner Italy Pressing (Soviet Star) and Starlight Dreams (Black Tie Affair), dam of the multiple G1 winner and sire Mastercraftsman (Danehill Dancer). •	Another former Darley stallion Hard Spun was responsible for two stakes winners at Sandown. The Kentucky-based Hard Spun took his tally of stakes winners to 54 and raised conjecture that he could again be considered for shuttle duties with a Sandown double by Turnitaround (Hard Spun x Devon Dancer by Royal Academy) in the G3 Eclipse Stakes and 2YO filly Arctic Angel (Hard Spun x Icy Maiden by Xaar) in the Listed Merson Cooper Stakes. Hard Spun is enjoying a strong finish to 20-17 as his the sire of dual G1 winner Le Romain . His other Group winners in Australia include Power Trip and Tarquin and he also has the South African G1 winner Ertijaal . 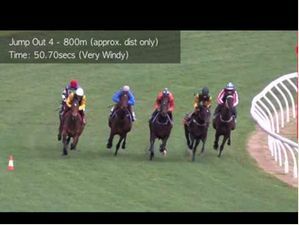 •	Versatile sire Husson shared the honours with Hard Spun at Sandown with a stakes double by two of his best sprinting products Lucky Hussler and Husson Eagle. The Patrick Payne-trained Husson Eagle (Husson x Tie Me Up by Royal Academy) ran out a decisive winner of the Listed Doveton Stakes to give the son of Hussonet his tenth stakes winner. 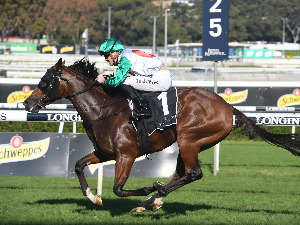 Trainer Patrick Payne said Husson Eagle is now on target to defend his Magic Millions Sprint crown at the Gold Coast in January. Dual G1 winner Lucky Hussler returned to winning form when he landed the G3 Kevin Heffernan Stakes after having a knee chip removed at the end of his last preparation. Lucky Hussler will now be aimed at the Magic Million Cup on January 14, a race he won this year. 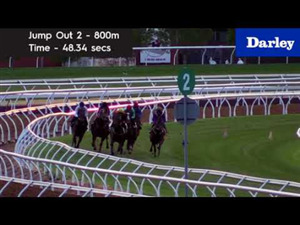 Race Synopsis: Godolphin-raced mare Beautiful Romance followed up her seventh in the Melbourne Cup (Gr 1, 3200m) at her first Australian start to take out this Group Two race well, albeit very narrowly. 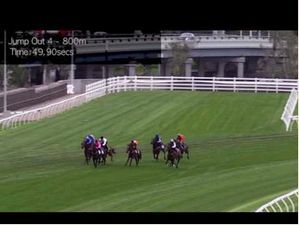 She settled nicely in fifth place, one off the rails, behind quite a good tempo before behind shuffled back near the tail of the field coming to the home turn. She got a split at the 300m and then came with a late bid to grab victory in a deceptive photo finish. 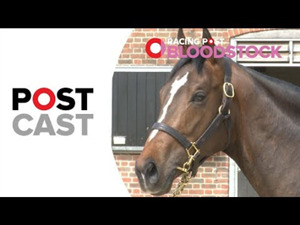 Almoonqith remained near last in the eighthorse field, went widest of all at the home turn and then put in a strong run (in the centre of the track). He took a narrow lead at the 50m and just missed to finish second in a bobbing finish. Big Orange went to the front, set a good pace, was challenged coming to the home turn and then kept fighting back very gamely for a close-up third. 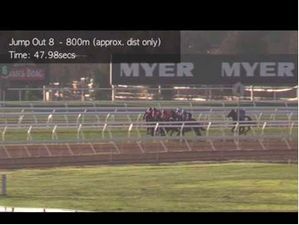 The three-year-old So Si Bon raced in seventh place, on the rails, got through along the inner to challenge at the 400m and then battled on well for (4.3 lengths) fourth. 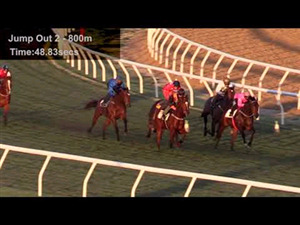 Last year’s winner Who Shot Thebarman raced in fourth place, on the rails. 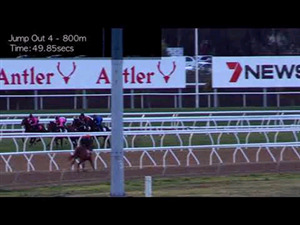 He got a split to challenge at the 400m and then kept fighting on for (4.5 lengths) fifth after seeming to have every chance.